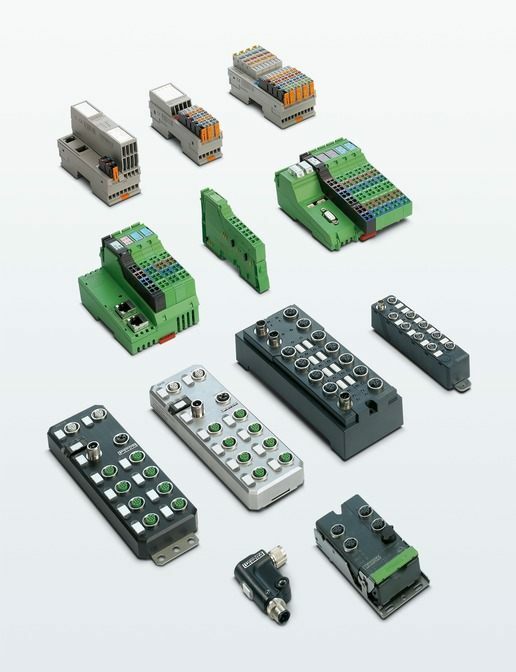 Phoenix Contact’s industrial Bluetooth modules allow you to wirelessly transmit control data to mobile or difficult to access automation devices quickly and easily. Bluetooth communication is characterised by particularly robust transmission under difficult ambient conditions. This allows you to establish functionally safe communication via PROFIsafe or SafetyBridge technology. Having quick and easy implementation, Phoenix Contact’s Bluetooth is the ideal solution for reliable wireless communication with automation components. Industrial wireless communication via Bluetooth offers easy and inexpensive Ethernet connection in automation. Using Phoenix Contact’s Bluetooth, the advantages of this technology can benefit your application. If you use a Bluetooth wireless connection as a wireless control cable. You can communicate reliably with rotating or moving modules, with minimal effort, eg cranes, robots, scraper bridges. When in parallel operation with other wireless systems, Bluetooth is most impressive. Using Bluetooth as a multipoint connection, you can provide wireless Ethernet access for up to seven devices per wireless cell. Therefore you can communicate safely and reliably with I/O components, scanners or PCs in a machine. For further information, click here. If you require any further information or a quotation, please get in touch. HMS Netbiter is a remote access service which opens up a secure tunnel to a PLC or machine. Using your regular PLC configuration software just as you would if you were on site, this enables configuration, programming or debugging of any industrial device from any location. 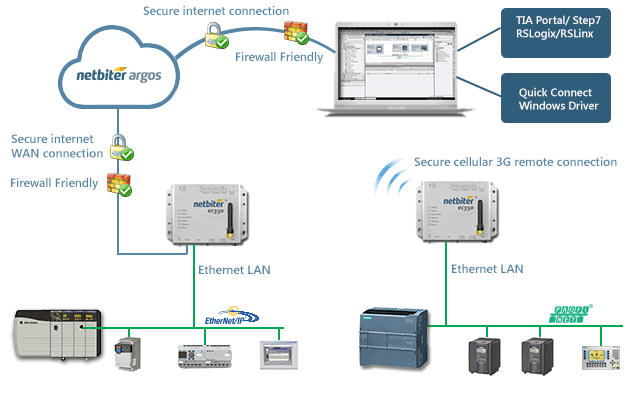 Remote Access is an included Netbiter Service with the EasyConnect EC300 communication gateways. It allows one user to connect to one machine. The service supports data limits up to 1GB per month and is set up through the cloud-based Netbiter Argos data center, maintained and hosted by HMS. The Remote Access Service can also be combined with View and Control and Manage and Analyze Services as long as an EC300-series gateway is used. ET UP AND RUNNING IN LESS THAN 10 MINUTES! Once you have connected a HMS Netbiter EC300-series gateway to your device, you will set up remote access to your device in a matter of minutes. Uses Netbiter Argos as an intelligent routing portal. This means that you don’t need an IP-address for the Netbiter gateway, nor do you need a fixed IP SIM card. 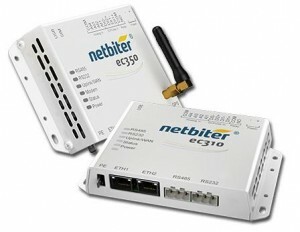 Included feature when purchasing a Netbiter EC300 series commuication gateway. Free of charge for data usage up to 1GB per month. Subscription-based for higher data usage. HMS Netbiter Remote Access provides a remote connection through Netbiter Argos to the serial and Ethernet ports on a Netbiter EC300 series gateway. This makes it possible to use PC-based software applications (such as RSLogix or TIA Portal) to program, configure or debug just as if being on site. The HMS Netbiter Argos acts as an intelligent routing portal offloading the user from having to know the IP-Address of the remote Netbiter gateway. Moreover, the Netbiter gateways provide hardware interfaces to secure the remote access on site with a keylock and LED indicator. 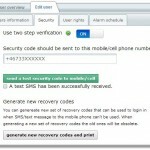 Even users without specific IT knowledge can use the system successfully and securely. 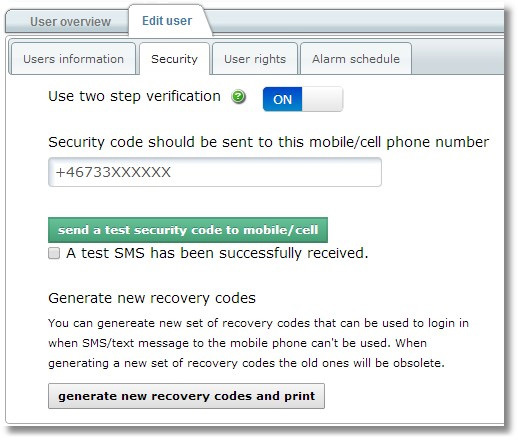 HMS is continually verifying the remote access feature with different device types from all manufacturers. Remote Access is vendor-independent and enables machine builders to deliver to any market irrespective of the PLC brand used. Give us a call if you would like a quotation. New from Mitsubishi is the FR-A800 Frequency Inverter which has been designed for unparalleled drive precision, speed control, simple start-up, and versatility. The Mitsubishi FR-A800 is a new generation of drive technology. Mitsubishi’s FR-A800 has some outstanding features which include the integrated high level PLC, USB port for programming and parameter copying, an-easy to-read control panel, optimum power usage and energy saving functions, improved system safety, three expansion slots for a range of option and supported network card. The FR-A800 Series is fully backwards compatible with the FR-A700 series and its parameters can be easily copied by FR Configurator2. In order to match the former machine response time, the input/output signals of the FR-A800 can be delayed. The FR-A800 series has some powerful features and intelligent functions which include a two channel emergency stop for safe shutdown. This ensures safe operation in compliance with the European Machinery Directive without installation of another contactor. 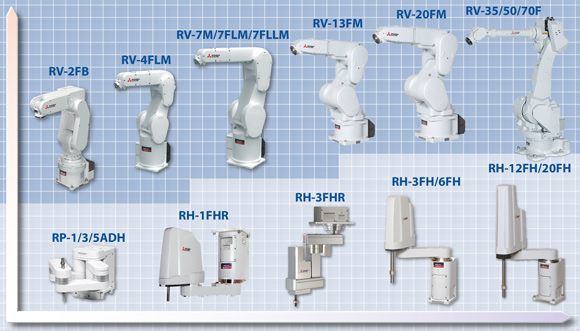 The FR-A800 thus conforms to the EN ISO13849-1/PLd cat. 3, EN 61508 and EN 61800-5-2 SIL2 standards. The FR-A800 can be controlled and monitored by a controller via network. Communication options are available for the major network protocols such as CC-Link IE Field, CC-Link, Profibus DP/DPV1, Profinet/Ether- Net IP/EtherCat (to be released soon) and SSCNETIII/H as well as DeviceNet™ and LONWORKS. RS485 communication (Mitsubishi Electric drive protocol, Modbus-RTU protocol) is supported as standard. High Speed Response: With a speed response of 50Hz, A800 to respond to a change in motor load. A800 reacts to a speed signal much faster too – between 2 to 3 ms as opposed to 5 to 20 ms with A700. Wide Speed Range: 200:1 speed range open loop, 1500:1 closed loop speed range. 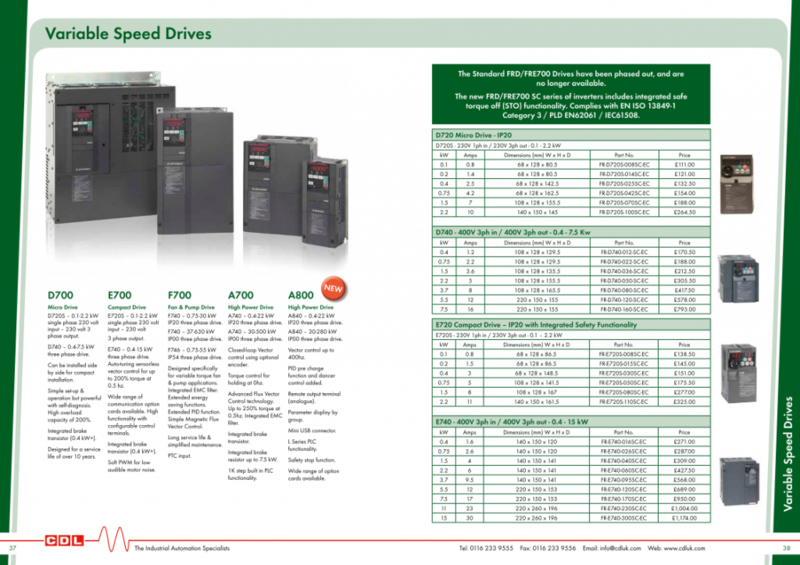 Extended Maximum Speed: A standard A800 VFD can drive high speed motors at up to 590Hz, compared to the A700’s 400Hz. IPM Motor Control: Standard A800 VFDs can drive the new generation IPM (Internal Permanent Magnet) motors, such as the Marathon ‘SyMAX’ series. Safety Stop: A800 is a SAFETY drive. “STO” capability enables SIL2 / PLd category emergency stops. Compatible with USB stick: VFD settings can be easily uploaded or downloaded and ‘black box’ operating data at the time of a drive trip can be copied for diagnosis using the FR-Configurator software. GOT interface: Automatic connectivity to GOT 2000 series GOTs without the need to change any parameters. 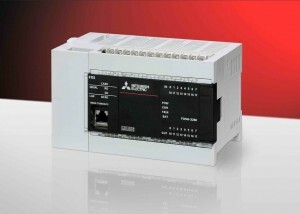 Improved PLC: A800 has a new internal PLC based around the Mitsubishi ‘L series’ processor. Instructions in the form of ‘Function Blocks’ can now be used. Conformal Coating: All A800 VFDs have Conformal Coated boards as standard. If you would like a brochure emailing over or require a quotation, get in touch ! Mitsubishi’s CC-Link IE Field is a major innovation in industrial networks providing reliable, flexible, and seamless communication CC-Link + Industrial. 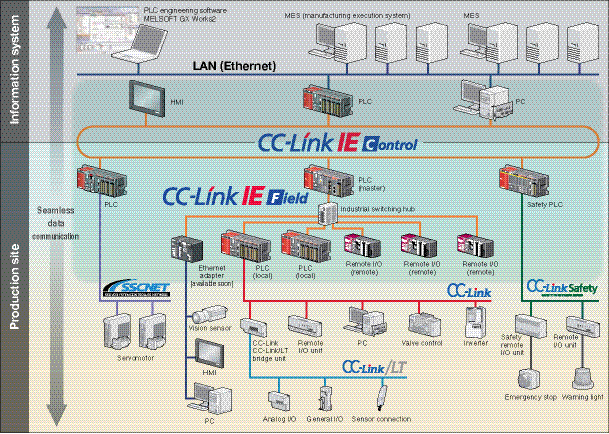 Mitsubishi CC-Link IE is an open 1GB Industrial Ethernet automation network consisting of two parts, CC-Link IE Control, and CC-Link IE Field. 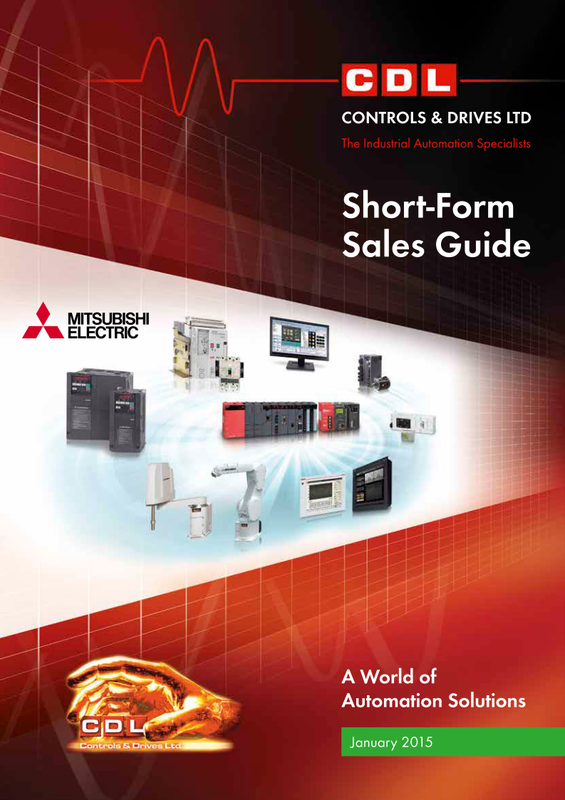 Mitsubishi’s CC-Link IE Control communicates over dual-loop fibre between PLCs, HMIs and PCs with an extremely large cyclical data-sharing capacity. Mitsubishi’s CC-Link IE Field has a smaller cyclical data-sharing capacity but communicates with both PLCs and Remote I/O stations over shielded CAT5E cables with standard RJ45 connectors in a star, line or combination topology. Mitsubishi’s CC-Link IE Field uses L Series Slave Head Stations for remote I/O. By adding an Ethernet Adapter to the CC-Link IE Field network allows full access to the network from standard TCP/IP devices like PCs, HMIs, and sensors. The Ethernet Adapter is used to add standard Ethernet TCP/IP devices onto a CC-Link IE Field network, like PCs, GOT1000 HMIs, and 3rd party devices. These Ethernet TCP/IP devices are bridged into the control network using Seamless Message Protocol (SLMP), which also enables use of standard MC Protocol and MELSOFT programming port protocol. 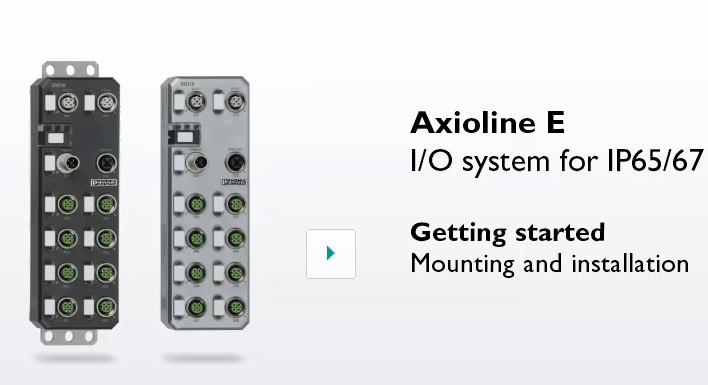 The Ethernet Adapter is DIN-rail mounted, separate from other controllers or hardware. If you require any further information or would like a brochure emailing, please get in touch !